I think I somehow convinced myself there was more time between the end of the summer season and the start of the fall one. Clearly there was not as much time as I thought as the season started tonight and I am in shock! 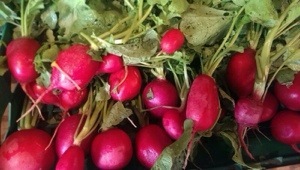 Michelle from Fair Meadow Farm has provided us with a wonderful bounty to enjoy. The harvest sure was plentiful this week. 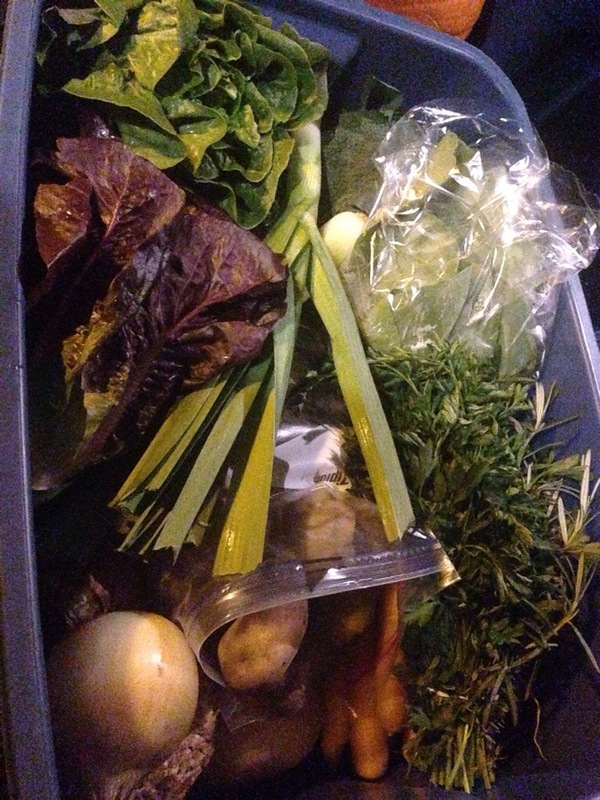 Bins were packed full of amazing produce this week! 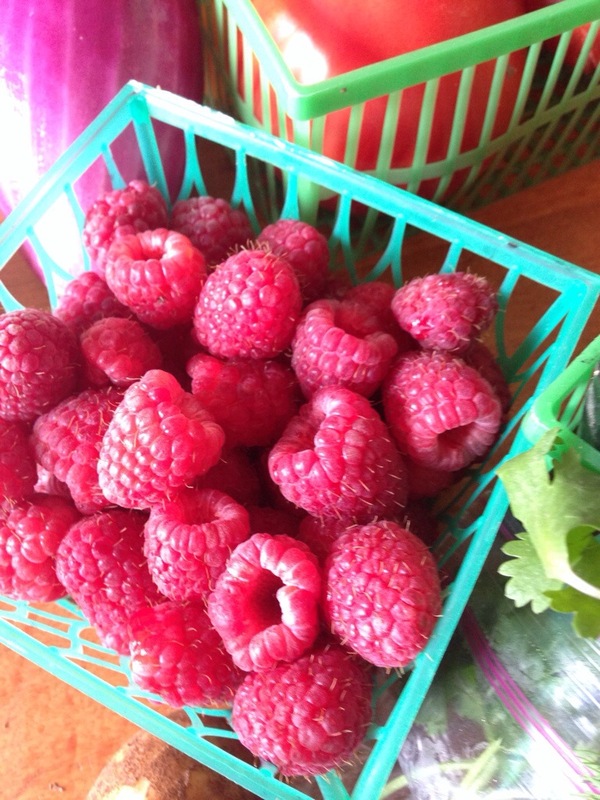 My personal favourite is the delicious raspberries! They are so good! They are not making it to see another day in our house! Too good!! Do you know how many times this weekend I said to myself, ‘post the CSA list on the blog Katie’ and had full intentions of doing it? A lot!! And here it is almost 2am Monday morning and as I’m up with our youngest son I’m finally doing it. Well it seems spring weather is here! Holy moly it’s hot out! I am a winter lover so any heat above 20 degrees is excessive to me – especially if there is humidity. But summer weather means plants are growing!! We planted some of our plants into our garden in our backyard this weekend. We still have about half to plant and some seeds to buy and plant. 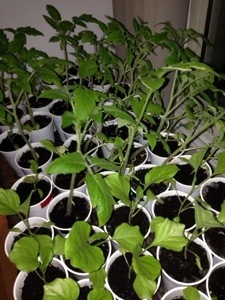 So far we have bell peppers, beefsteak and Roma tomatoes, garlic (which we planted in the fall) and eggplant. We also plan to grow cucumbers. It’ll be awesome to have all these plants out of our tiny kitchen! If you haven’t been a part of a CSA (Community-Supported Agriculture) before, the idea of signing up and committing to receive produce for 21 weeks this summer may be scary. Not knowing what to expect product wise and quality wise can be scary. While you could take our word for it that the food is amazing and delicious (check out that picture below!) we thought we would share with you some feedback we have received from our customers about the bins. For more information on our CSA program click here. 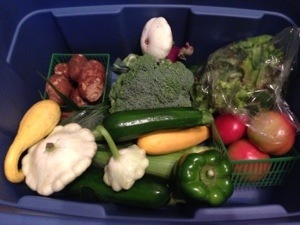 A CSA bin from 2013 summer season.